I would never have thought that I could make bread from scratch and I definitely didn’t think that I could make DELICIOUS bread from scratch. Boy was I wrong! 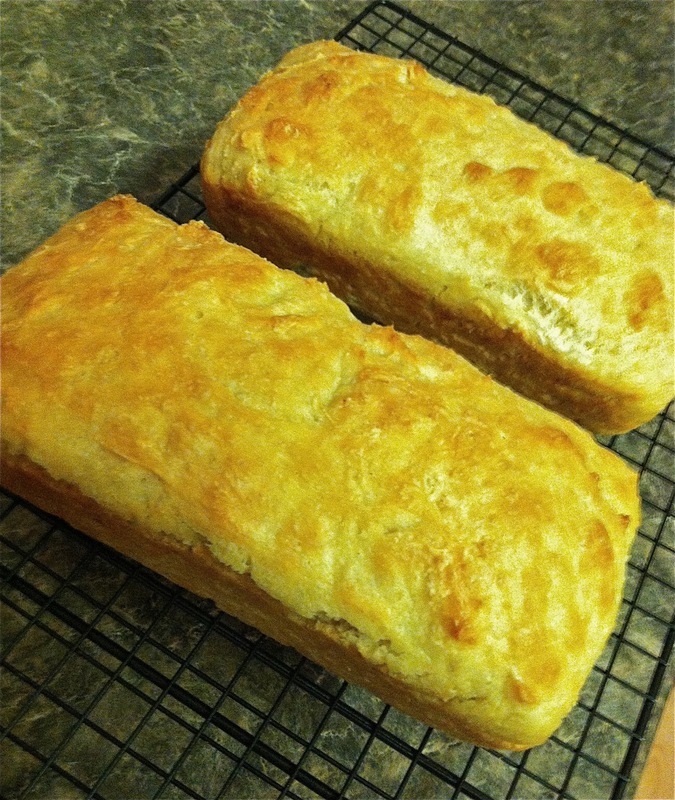 When I came across the recipe for this English Muffin Bread the other day, I was curious if it was really as easy as she made it sound. It only called for five ingredients, I didn’t need to use a bread maker for it and I love english muffins, so I decided to give it a try! I am so glad I did because it turned out amazing. Let me warn you, it will go fast! I think my favorite ways to eat this bread were warm with a little butter or a little toasted and used for a sandwich. It really couldn’t be easier to make and it slices up very easily after you let it cool completely. The only thing you might not have lying around that you will need for it is some rapid or quick rise yeast, and possibly a loaf pan (I got mine at the dollar store!) but other than that you will most likely already have the other ingredients in your kitchen right now. *Note: The original recipe below makes enough for 4 loaves, but it can easily be cut in half like I did when I made it! I think it would probably work just fine! Let me know how it turns out if you make it!